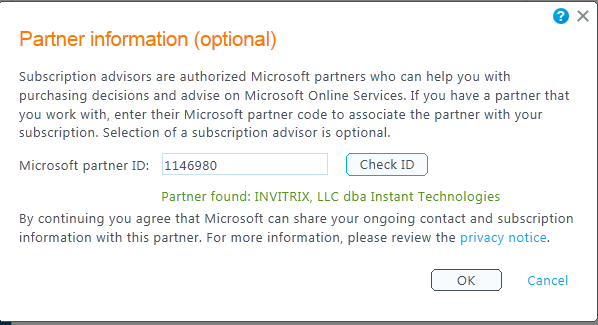 Thank you for considering Instant Technologies as a partner for your Microsoft Office 365 configuration. The following steps will provide information on how to assign Instant Technologies as your Partner of Record. 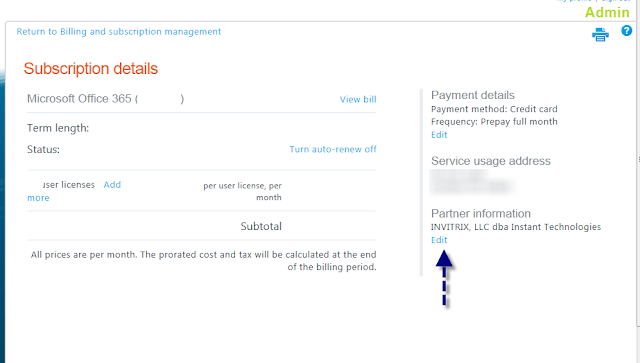 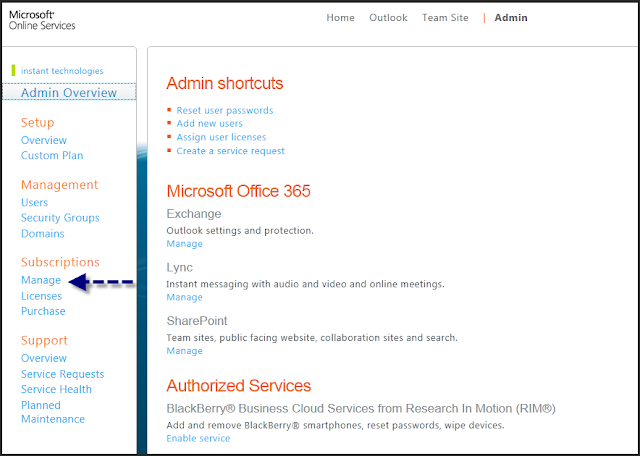 To begin, the Office 365 administrator will need to log in to your organization's portal, and then select the 'Admin' option (see below). 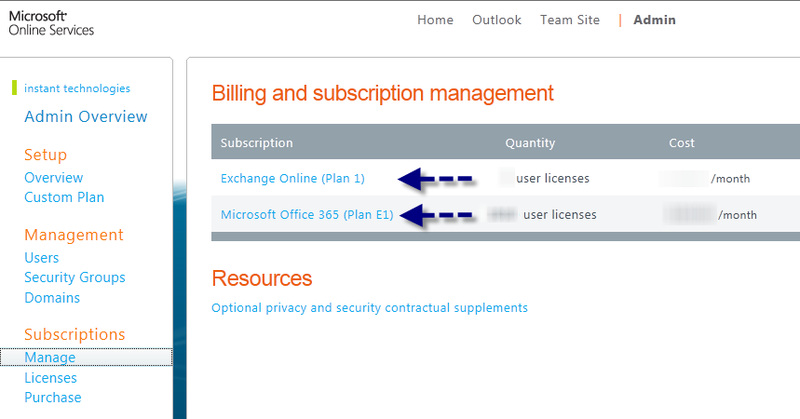 In the subscriptions area, select the 'Manage' option. That's it! 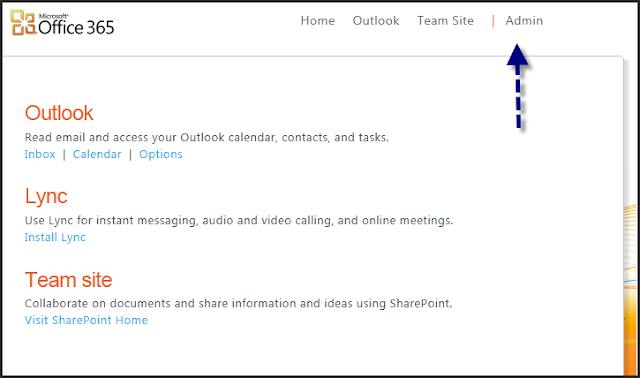 Thanks for selecting Instant Technologies as your Microsoft Office 365 Partner!